Three reasons why having a flatmate could enhance your home life. Despite a commonly held stereotype of flatmates, the days of over crowded, party culture share houses are all but gone. In fact, the reality is that the average flatmate today is 27 years old, works full time and is generally looking for a comfortable home with good amenities. Opening your home to a flatmate can be a rewarding experience and can also offer you a way help reduce your living expenses. So if you currently have a spare room, here are three reasons why a flatmate could enhance your life. One of the main reasons people will rent out a spare room is for extra cash. Whether it’s to split the rent or offset your own mortgage there is no denying living costs reduce considerably when there are more people. If you own your own home, getting a flatmate is a perfect way to earn extra income. In 2014 the average room in Australia rented for around $183 per week, while some inner city suburbs topped $300 per week. However, it is important remember that your new flatmate should be treated as a contributing member of the home and not a cash cow. In 2014 the average room in Australia rented for around $183 per week, while some inner city suburbs topped $300 per week. Living on your own can mean an empty house when you go away or no one to feed the dog when you’re late home from work. While you should never expect a flatmate will be there to pet-sit or wait around for the plumber, a flatmate can become a reliable companion. Recently on our site we have seen an increase in people offering rooms on the proviso that the potential flatmate loves dogs, is happy to mind the kids once in a while or even open to having a social glass of wine weekend. It makes perfect sense and can be a win-win situation with potential flatmates who are looking to become a proper member of the household, rather than just a lodger. Obviously this type of arrangement requires an element of trust, however, it can prove to be a life saver when the pet sitter falls through or you have left the house with the dryer on. 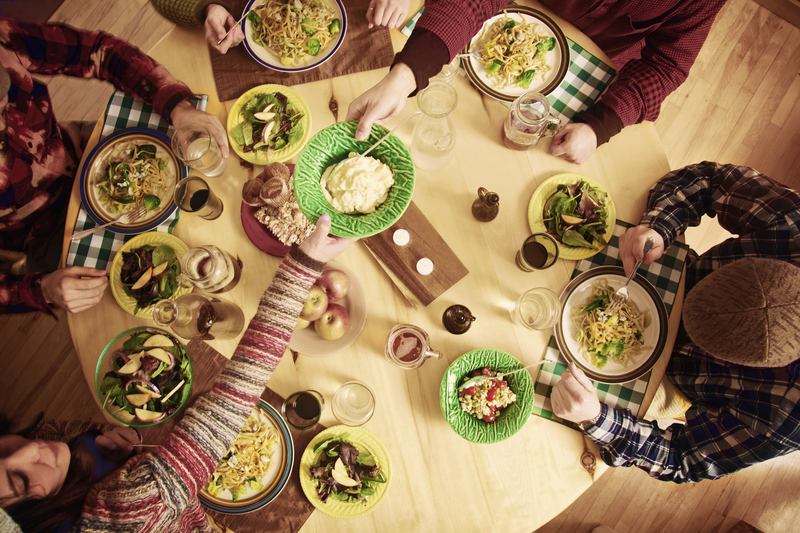 Whether you’re trying to brush up on your linguistics or even culinary ability, a flatmate could bring some welcomed new skills to the home. It is also an opportunity to show international guests some insights into the Australian culture and way of life. As an example, a recent listing on our site was for a lady looking for a German speaking flatmate to help her improve her linguistics. In return she was offering to help that person learn piano and improve their english. Living with others from different cultures can cause some sticking points, so it’s important both sides enter the agreement with open minds. Those renting their rooms may also need to allow a touch of flexibility while new guests become familiar with the home and their new flatmates. Getting a flatmate can be a rewarding experience, both financially and socially. Getting a flatmate can be a rewarding experience, both financially and socially. To ensure your success in sharing, take your time when considering a flatmate. A social fit is just as important as their reliability or financial stability. Remember that sharing a home won’t be for everyone, but you may find the benefits could improve your home life.